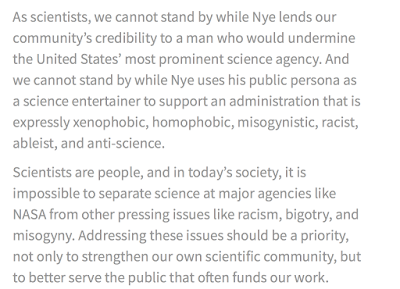 MSE Creative Consulting Blog: Bill Nye Good! 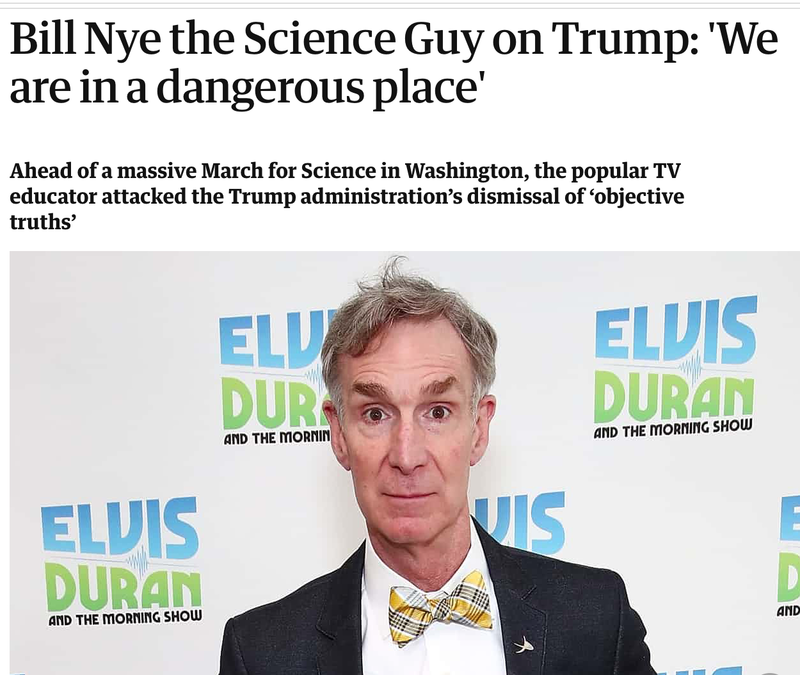 Bill Nye Bad! 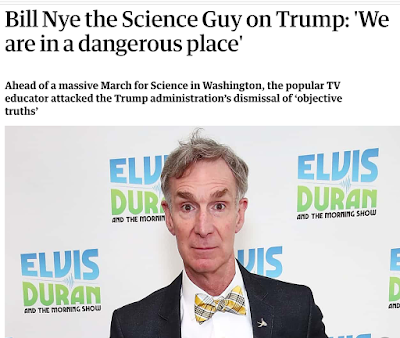 I thought Bill Nye was the host of the "March for Science" and a fierce critic of President's Trump's stance one global warming. The above is from Scientific American via Twitchy. Apparently, Nye is going to be part of the peanut gallery at tonight's "State of the Union" address. 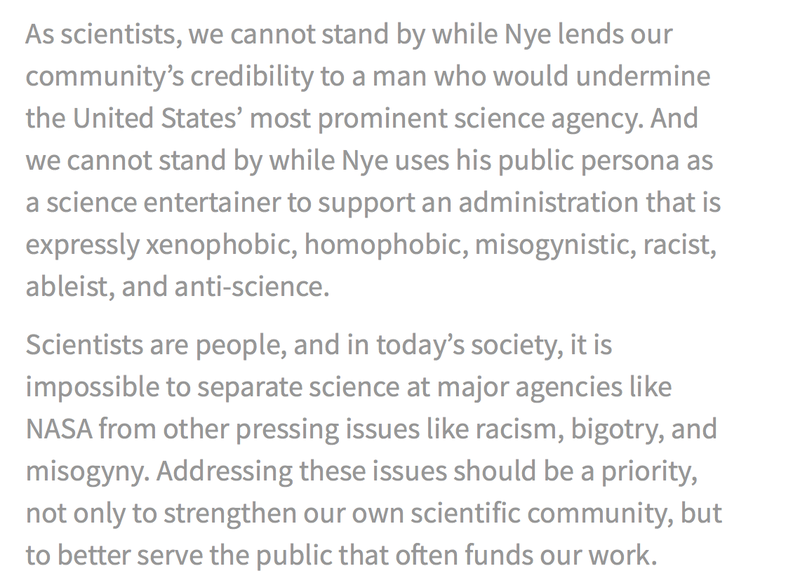 To those of us who are not fans of Nye, or the personification of science, the irony is delicious. There is no reason to believe that Mr. Nye's global warming views have changed. But, that is not what is important to these "scientists." What is important is whether he is on the correct "side" (whatever that might be). I cannot conceive of a better example of why scientists need stop worrying about who is on what "side" and go back to focusing solely on what the hard science says. Finally, there was a set of comments on Facebook this morning claiming that President Obama had arrested global warming while President Trump was undoing Obama's progress. That is not true. 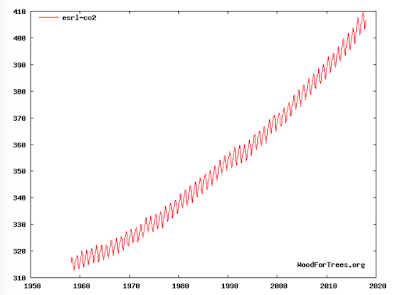 Below is a graph of carbon dioxide concentrations since 1958. 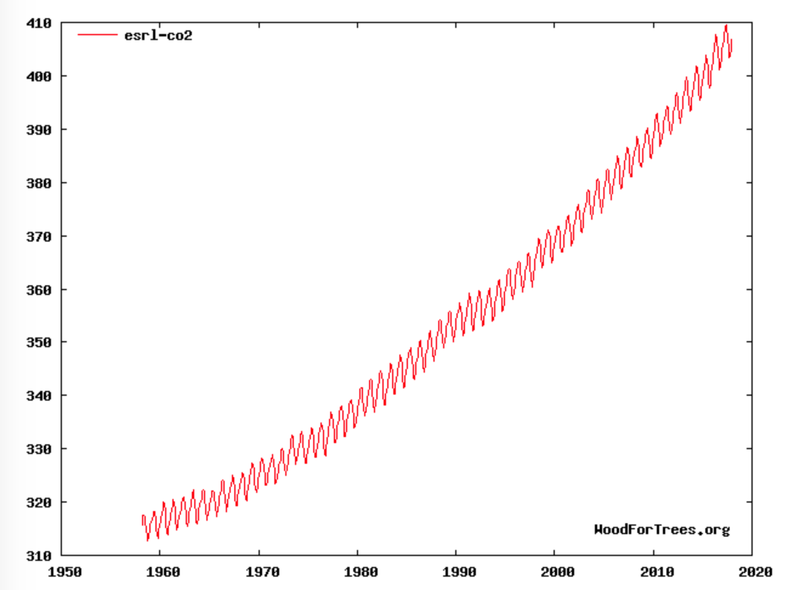 As you can see, the rate of change of carbon dioxide concentration is exactly the same. Neither President has made any progress.